mpNZB is a plug-in for MediaPortal&nbsp;that allows you to download NZBs&nbsp;from multiple sources (Feeds/Groups/Search). Then using SABnzb&nbsp;it downloads those files from a Usenet&nbsp;provider such as&nbsp;Supernews. 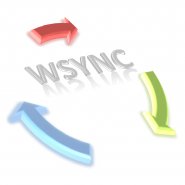 MyPrograms gives you further control over your HTPC by allowing you to load any windows program while keeping MediaPortal active.